Everything about the long-running Rockabye Baby! music series sparks a smile. On its surface alone the project, which turns hits by Black Sabbath, Prince and other pop and rock artists into tinkling lullabies, is pure comedy, mining the gulf between Iron Maiden and a pacifier. But it's also notable for how fully realized and deftly orchestrated these cover songs are. It's nothing you're going to crank on your car stereo while speeding down the highway with the windows down, but you can still marvel at how well it's done and, if you actually have a newborn baby, it's a delight to play for them (if only as a wink to how cool you really are). The latest in the series pays tribute to the music of Beyoncé — and comes just after the singer announced she's pregnant with twins (though I'm told the timing is a complete coincidence). Lullaby Renditions of Beyoncé features a mix of hits from across Bey's solo career, from her work with Destiny's Child through her most recent release, Lemonade, including the song, "Hold Up." 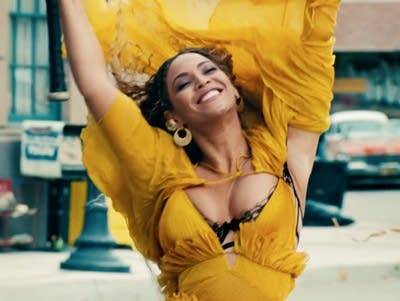 Beyoncé’s original version of "Hold Up" is rife with hints of cheating and suppressed rage, illustrated perfectly in the song's video which features the smiling singer casually strolling down the street while smashing everything in sight with a baseball bat. All of that is gone in the lullaby version, replaced by a mix of sweetly chirping birds, playful marimbas and a glockenspiel. Lullaby Renditions of Beyoncé is out Feb. 24. It was produced, arranged and performed by Andrew Bissell, the artist behind previous lullaby takes on the music of Blur, Weezer, Bon Jovi, and the Police.